Authentic oak decorated with natural Baltic amber, made in Lithuania, handmade. Since the ancient times it is known that there are magic, curing and protecting from evil qualities referred to amber. 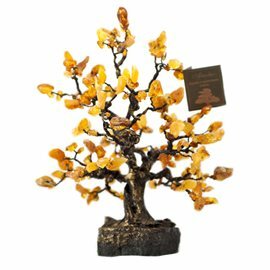 A multi-colored natural Baltic amber tree is as if dyed by autumnal colors. Made in Lithuania, handmade.